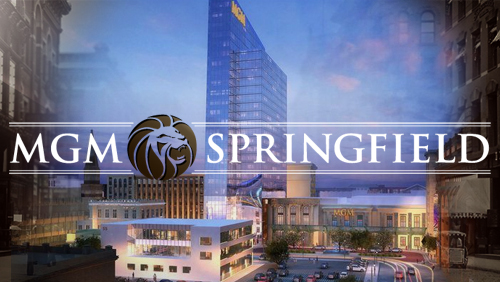 Strategic Information Resources’ Consumer Lending Summit is pleased to present a compelling and inspirational day of events on Thursday, March 28, 2019, at the exciting new MGM Casino in convenient Springfield, Mass. The payments space is anything but boring. Starting with the days when consumers’ only payment options were cash, checks and house credit, merchants and financial services innovators have continued to add new payments alternatives at a dizzying pace. Today, new payments players, products and services are emerging at a faster pace than ever before. Combine this with the fact that 87 percent of financial institutions lack a formal payments strategy, and the stage is set for ongoing disruption from non-traditional providers. That disruption is not coming from a single source but, rather, four distinct trends. Learn more about those trends and where they will have their greatest impact. This session is presented by Michael Carter, executive vice president at Strategic Resources Management, a national banking consulting firm. Carter has been featured as a speaker at Finovate, NetFinance, NetFinance Interactive, CBA Live and Future Digital Finance. He is regularly quoted in the media regarding trends in payments, mobile wallets, consumer experience, digital banking strategies, Millennials, data analytics, P2P payments, bill pay, and banking as a platform. Carter also contributes content as a guest writer in industry publications and as a featured guest on podcasts. What opportunities are in store for consumer lenders in the next 18 months or so. What sectors are ripe? Will the “Fintech” industry replace banks? What can Community Bankers do about it and how can we deliver services to the consumer? We’ll look at the outlook for HELOCs, student lending, credit cards and more. And we’ll hear from local bankers about innovative ideas they have to market their consumer loan initiatives. Panelists include Denise Walker, senior vice president of Country Bank; Jeff Smith, senior vice president of Freedom Credit Union; Norbert Deslauriers, VP and retail lending manager at Guilford Savings Bank; and Lynn Liquornik, VP at Mass Mutual FCU. Jonathan Plummer, senior vice president of Bangor Savings Bank, will moderate. We’re bringing in experts at branch siting and branch design to discuss how your physical locations can be best positioned to drive more business to your consumer lending portfolio. Using specific data points to illustrate success, Michael Goman of Accubranch and Solidus will provide actionable information to help you make the most of your physical facilities. Customer acquisition is the name of the game, and it’s a battlefield out there. Automated online account-opening solutions are a strong vehicle to both increase banks’ customer base and solidify existing account relationships through cross-sales. Elsewhere, bankers are dead-on in naming loans as the most important channel for acquiring customers in 2019. The market is quite favorable, despite rising interest rates. However, without a solid presence in digital lending, you’ll likely miss this opportunity. Brent McKown, lending analytics and product manager for CSI, will layout the results of a recent CSI poll of banking executives across the country. The poll uncovered strategies and issues bankers believe will most affect the financial sector in the year ahead and how they plan to exceed customer expectations in 2019. Among the stats uncovered: 44% of bankers are adding self-service options like online account opening; 39% of bankers recognized loans as the most important channel for attracting new customers in 2019; 32% of bankers see self-service account opening as essential for attracting new customers in 2019. We’ll take a look with experts at recent credit industry trends and changes that will impact your consumer lending decisions and initiatives. Presented in part by Jackie Drziak, executive vice president of All In Compliance and Strategic Information Resources. PLATFORMS AND APPS AND ONLINE….OH MY! In The Wizard of Oz film, Dorothy laments the danger from “Lions and Tigers and Bears…oh my!” But in the end, she finds the tools and confidence to best all her nemeses. That can also be true for today’s community bankers and credit unions. Everyone’s concerned about new fintech companies, changing consumer demographics and overwhelming technological change radically altering the consumer lending space. That’s why we’re bringing together a panel of top product managers, experts and more to show you a broad array of tools that will allow you to quickly meet the challenges in boosting student loans, HELOCs, auto loans and so much more — and how your institution can do so quickly, smartly, and cost-effectively.